Age 78, died on December 18, 2018. Ann was born October 23, 1940 in Paw Paw, the daughter of Paul and Frances (Reynolds) Carter. A woman of many talents, Ann had a passion for sewing, baking wonderful pies, and mentoring children through the local 4-H club. She was also a bus driver for many years. Ann was preceded in death by her husband, Richard; daughter: Sue, and her parents. 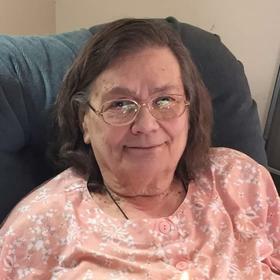 Surviving are her children: Deann (Larry) Padgett, Mondae (John) Dedrick; granddaughter: Haylee; siblings: Jane (Mike) Winkler and Lee Carter, and many nieces and nephews. Cremation will take place. A graveside service will be held on Friday (Dec 28) at 11am at Austin Cemetery. In lieu of flowers, memorial contributions may be made to American Cancer Society or Al-Van Humane Society. Arrangements by Betzler & Thompson Life Story Funeral Home, 60900 M-40 Hwy, Paw Paw (269) 657-3870.